It is unclear why a prevalence of thyroid dysfunction is higher in the elderly as compared to the younger population. An excess or deficiency of trace element contents in thyroid may play important role in goitre- and carcinogenesis of gland. To examine the variation with age of the mass fraction of 50 trace elements in intact (normal) male thyroid. Samples of thyroid parenchyma obtained from 72 healthy males (mean age 37.8 years, range 2–80 years) was investigated. Measurements were performed using a combination of non-destructive and destructive methods: instrumental neutron activation analysis and inductively coupled plasma mass spectrometry, respectively. Tissue samples were divided into two portions. One was used for morphological study while the other was intended for trace element analysis. There is a statistically significant increase in Cd and Se mass fraction, as well as a decrease in Al, Be, Dy, Ga, Gd, Li, Mn, U, and Y mass fraction in the normal thyroid of male during a lifespan. 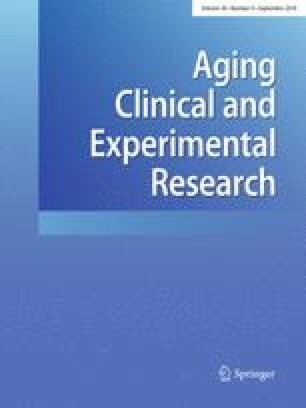 Moreover, a disturbance of intra-thyroidal chemical element relationships (correlations) with increasing age was found. Our findings suggest that, at least, a goitrogenic and carcinogenic effect of Cd overload and Mn deficiency in the thyroid of old males may be assumed. Many trace elements in human thyroid behave themselves as antagonists or synergists. Therefore, an age-related disturbance in correlations between Mn and other trace element mass fractions in thyroid parenchyma may also contribute to harmful effects on the gland. Age-related changes in intra-thyroidal trace element contents and disturbances in trace element relationships are involved in goitre- and carcinogenesis. The online version of this article ( https://doi.org/10.1007/s40520-018-0906-0) contains supplementary material, which is available to authorized users. We are grateful to Dr. Yu. Choporov, Head of the Forensic Medicine Department of City Hospital, Obninsk, for supplying thyroid samples. We are also grateful to Dr. Karandaschev V., Dr. Nosenko S., and Moskvina I., Institute of Microelectronics Technology and High Purity Materials, Chernogolovka, Russia, for their help in ICP-MS analysis. On behalf of all authors, the corresponding author states that there is no conflict of interest aside from grant funding stated above. Statement of human and animal rights.